About a year ago the headlines in the business pages were full of news that the construction and facilities management giant Carillion was going into liquidation in the face of a debts of £1.5 billion. One year on, and the effects of that dramatic collapse are still being felt by people all over the country. Carillion wasn’t a well-known name to the public – but its work touched on many areas of public life. And its collapse hit hard. Describing itself as an "integrated support services business", it employed around 22,000 people in the UK and held about 450 governmental contracts, spanning the UK education, justice, defence and transport ministries. Like many councils, Oxfordshire County Council outsourced services to Carillion. And when the collapse came, it was left counting the cost. Carillion had provided services on behalf of the council including maintenance of council buildings, property services, and building work such as school extensions. The council was left in the dark about the state of work done by Carillion, with no immediate clear picture of ongoing construction and property maintenance problems.Carillion’s work for the council including maintenance of council buildings, property services and building work such as school extensions. When the firm collapsed, the council faced a serious problem. It had little or no information on what schools were being managed and no information was passed across from Carillon for any asset details. There was also limited information regards to outstanding projects. What happened in Oxfordshire highlights the problems faced by many. Although in this case, Whitco were able to step in and work with the council to rescue abandoned projects and revive vital services. It was left to a help-desk team set up by the council to manage the schools and some public sector buildings such as day centres, schools, council buildings and fire stations. Whitco worked with the team to try and fix some of the problems. There were several projects for new kitchens, which were in the midst of being agreed and in some cases in progress with Carillion. At County Hall kitchen, a timescale had already been set for an upgrade programme and the project was due to start, at the time of the collapse. Within days Whitco had arranged meetings with the council to renegotiate the contract and go through the full design of works. This was all accepted and the project was successfully completed within a matter of weeks. Whitco also worked to rescue a kitchen upgrade project at Great Rollright School (above). This was an ageing Victorian schoolhouse kitchen with a stone floor, crumbling walls, very little space and a high ceiling in the existing kitchen. The plan was to upgrade the space and make it suitable for cooking and serving hot meals. The Whitco team stripped out the existing fixtures and fittings and made good before making the best use of space with under-counter fridges, freezer and dishwasher to create prep space. Storage was provided by new wall cupboards on a frame over the lower part of deep-set windows reaching up to the high ceiling. We fitted a false ceiling with inset lighting to also provide natural light, added lined walls and a non-slip floor. The result was a cleaner more modern look that gives the impression of space. The main challenge of not having space for an oven range or extraction was neatly overcome with the council coming up with a menu that would use the high temperature of a double Regen oven to bake from fresh or frozen. This project was started by Carillion but completed by Whitco and the council during summer 2018. On another project for the council, Whitco set to work at Bloxham Church of England Primary School. Here, the team completed building works and upgraded and redesigned the kitchen. In total, 17 schools across the county were affected by Carillion’s collapse. An audit of Carillion’s work carried out after the collapse identified “a range of issues, including missing contract and building control certification, missing Health & Safety and maintenance manuals, and "unsatisfactory fire strategies and planning conditions not fulfilled, to major elements unsuitably executed". Alongside completing the building projects, the Whitco team also helped the council with a range of maintenance services, which included asset management, planned maintenance, reactive call-outs and the deep cleaning of extraction systems and canopies. We scheduled and carried out maintenance visits. A key part of this role was keeping the council’s fledgling team up-to-date with all the work that was being done and the dates for planned maintenance. A key part of our role in working with the council’s team was giving them our full support and enabling them to take over as much of the organisation as possible. Away from preventive maintenance, we also ensured that all reactive calls were attended to quickly and made direct contact with the site to help with access and site restrictions. The Whitco team has also have been reacting quickly to deal with condemned equipment and to ensure that old equipment is replaced with reliable units which will fit the required specification. This is done by having units pre-specified and agreed, with prices set with the council for replacements. In February 2018 Oxfordshire County Council experienced a difficult situation with the collapse of Carillion. 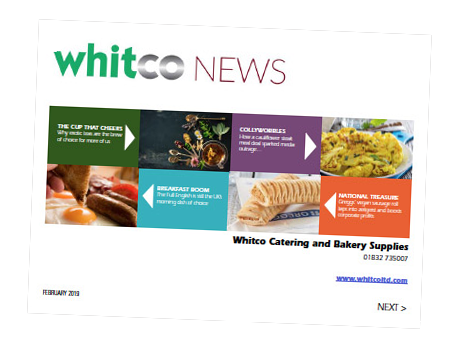 We engaged Whitco to pick up the maintenance and supply of catering equipment through this period. We are very grateful for the professionalism and commitment from Whitco to deliver these services through this very difficult period. They consistently went above and beyond our expectations in delivering world-class customer service. Nothing was a problem or too difficult and I would not hesitate to recommend Whitco to any prospective client. Thank you to all at Whitco for embracing the true meaning of partnership. ’Whitco installed a new kitchen into a small run-down area in Great Rollright school. This gave the school a new facility to prepare, cook and serve fresh hot lunches on site. The process went very well, with full consultation with the end-user, and installation was completed on time, to a high standard and minimal inconvenience to all concerned. Snagging issues were dealt with promptly and any extras that were requested were fulfilled. The equipment is excellent quality, making cleaning and maintaining the area very easy. I would fully recommend Whitco to carry out this type of installation, excellent service and communication. Oxfordshire County Council Catering Service have a long history of working with Whitco, whose services were retained by Carillion when we contracted out our school meal service. Following the collapse of Carillion in January 2018, Whitco worked hard with us to ensure that we continued to receive uninterrupted service for our school kitchens. Their continued cooperation ensured that school kitchens continued to function, and kitchen statutory compliance continued to be met. This meant the service was able to concentrate our efforts in maintaining and building other supplier relationships, safe in the knowledge that Whitco were fully aware of our requirements, were familiar with our estate and were able to deliver on time and at a cost that represented good value.